Yet another Indian company has thrown its hat into the country’s video streaming ring. 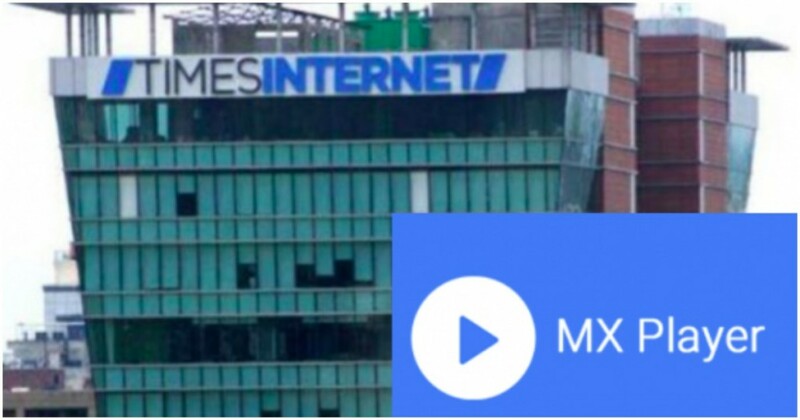 The Times Group has launched an online streaming service on MX Player, the Korean video-playing app which it had acquired earlier this year.Times Group had paid a cool $140 million (Rs. 1000 crore) to acquire MX Player, and had then signaled its intention to use it as a launchpad for a new video streaming service. Just a few months after the acquisition, the video streaming is already in operation, and joins a crowded pack that includes Hotstar, Amazon Prime, Netflix, Zee5, Alt Balaji and Voot. MX Player’s video streaming service is available on the main MX Player app, which thus far was used only for playing videos stored on the phone. Now the app has two options at the bottom, which say Local and Online. While local is used to play videos on your phone like before, the online option leads to the new streaming service. There’s an option to select your preferred languages– MX Player already seems to have several regional languages options available, besides Hindi and English. The catalog is much like you’d expect on a full-fledged video streaming app. MX Player has taken Sony’s whole library, so there are shows like Tarak Mehta Ka Oolta Chashma, and the Kapil Sharma Show. There seems to be a large collection of Hindi and English movies as well, and whole section devoted to web series, which has shows and videos from TVF, AIB, and some other creators. Thanks to the might of the Times Group, the monetization bits are already in place — pre-roll ads play before the videos, and the app even has full screen ads. Apart from all the ads, the app is free to use. It isn’t immediately apparent from looking at the app, but MX Player will likely target India’s Tier 2 and Tier 3 markets, where the penetration of video streaming services might not be as high as in urban areas. Before it was acquired by the Times Group, MX Player was one of India’s most popular apps with 175 million users, and was used primarily by those with low-end Android phones to play the different kinds of videos they received from friends and family. MX Player already has a large audience in these markets, and it’s likely that its video streaming catalog will target these users. The emphasis on regional content on the app points that this is likely going to be the case. Video streaming is widely seen as the force that will disrupt television over the coming years, and this has led to a bevy of players launching their own products in the space. Netflix has its expensive, high-end product that caters primarily to urban users, while Amazon Prime, Hotstar, Zee5 and Alt Balaji have paid versions and their own original content. Then there are apps like Voot which are free. The Times Group will look to bring its years of experience in the media business to grow its video streaming arm. Apart from running a host of TV channels including Times Now and Mirror Now, it also runs the Times Group of newspapers including Times of India, Economic Times, and city-specific Mirror editions.The Times Group also runs sites such as Indiatimes, MensXP, iDiva and Speaking Tree, classifieds portals like Magic Bricks and Times Jobs, and vertical specific sites including Cricbuzz and Willow.tv. Now it’s gone ahead and spent Rs. 1000 crore to acquire MX Player, and quickly launched what looks like an ambitious video streaming service on it. The Times Group clearly thinks that video streaming is the next frontier, and it’ll be interesting to see how its MX Player bet will pay off.